Google Adwords is one of the top marketing tools out there. Some businesses have already realized that this powerful advertising channel is a must-have point in their marketing plans while others are still too skeptical about it. Why should you use Google Adwords? Well, a simple answer might be because your competitors probably use it. Do they profit? Probably yes if they use it properly and to its fullest potential. Is it not too expensive? Maybe the simplest answer to that might be – it depends on you. Now, let’s take it to a new level. In the highly competitive business world things are never so simple. That is why we’ve compiled a list of really good reasons of why you should be leveraging the benefits of Google Adwords. Think of Youtube, Gmail, Blogger, Maps, Shop, and the result pages of the search engine. Then add the thousands of websites partnering with Google through the Adsense platform. Your ad can appear everywhere. In addition, you have the option to choose where it appears, be it the Search Network, or Display Network. Need to advertise a mobile app? You can use all of Google’s network including Google Play. Refine your ads to the smallest detail. The Ad Preview and Diagnosis tool helps you check out how your ad would look like when placed and identify why it might not appear on a certain keyword or phrase. Missing extensions? It will tell you why they might not show. And a bonus – you may use it for final proofing your ad. You know, because typos are easy to miss. Yes, your online competitors’ marketing teams constantly work to improve their profits. However, there’s always room for improvements. Check them out, see what they’re doing and do better. Use the power of Adwords to beat their biddings and place your website above everyone else on the result pages. PPC ads appear always on top of other results, they are richer and look flashier thus catching the attention of users. First results always get the most clicks. Unlike any other online marketing channel as soon as you launch your first campaign you start getting results. Be it increase in traffic or none at all either way you’re getting exactly what you need to continue. If the results are positive then great, if not – you get all the information which will help you work on your ads and improve them. There was a time when the visitors on the website remained unknown people. Today, Adwords gives you tons of information on who visits your website, their location, occupation, interests, name it. In addition to that, you know how they’ve come to your website, which keyword they’ve used to find you, what device they’ve used, the time they’ve performed their search. How you use this information depends on you. You can narrow your targeting to a specific location, or devices, even age groups. 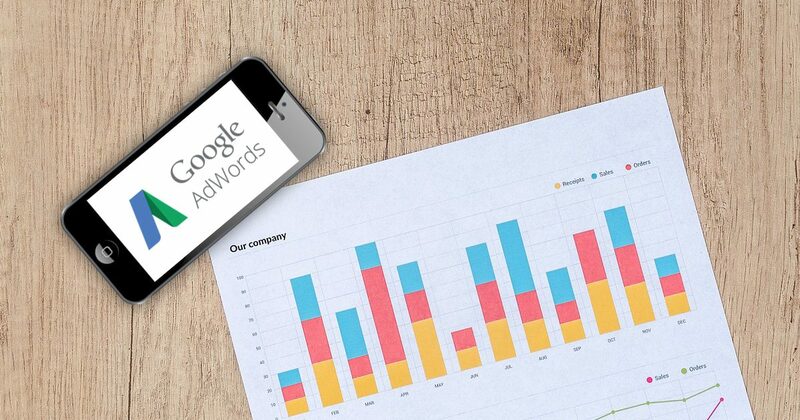 Google Adwords keeps you updated about what you’ve got for your money at any time and how much you’ve spent every time someone clicks on your website via the ad. You also have the power to choose when and how to bid for certain keywords. For example, you may want to increase your budget at specific hours of the day when your audience searches for products and services you offer the most. Combine this with decreasing the budget or stopping the ad at the hours your target audience is not so active and you’ll have a pretty decent and cost-effective PPC campaign. Of course, if you see a campaign doesn’t work the way you want, you can cancel it at any time and save your money. 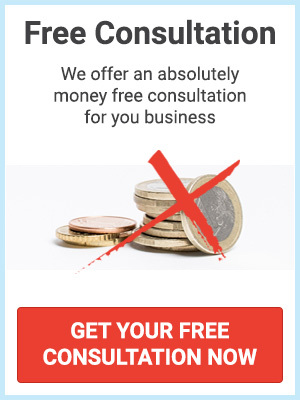 One of the best things about this marketing channel is that it is predictable and you have full control over the costs. You decide what your budget will be and how much you’d like to pay for a click, and you pay only when someone clicks on the ad. After a few successful campaigns you will be able to predict the costs and returns for future ones. Let’s compare SEO to PPC advertising. Your website may rank organically on multiple keywords, some highly relevant, others not so. You can’t exclude the latter the way you do it on Adwords. Here’s a secret – keywords play a pretty important role in a conversion equation. They suggest the intention of the searcher. So, using only SEO you may get tons of traffic but in most cases it would be either irrelevant or got the visitor way too early. You know, users go through a few phases before purchasing anything. They start with a desire to fulfill a need and go searching for their problem using different keywords and phrases that may offer them a solution. They continue with researching about the benefits of the solution using other search terms. Then they go on with price comparisons and so on. Now, you may rank pretty well organically but the process above would bring you lots of traffic that might not lead to lots of purchases. Using Adwords gives you the power to tell Google keywords you want your website to appear on exactly. This way you will narrow your traffic and get the most relevant part of it which leads to improved conversions. In other words, with organic rankings you may get 10,000 all kinds of visitors and 5 purchases a day while with Adwords you may get 1000 relevant visitors and 10 purchases. This is where the remarketing tool takes place. To improve conversions even further you may use the power it gives you. Simply said, the remarketing tool helps you find those who already showed interest and visited your website and remind them of you. Why? Because they are more likely to purchase than those who haven’t seen your website. Advertising requires investment of time and money. The returns depend entirely on how you invest. From previous points you know that Adwords gives you the information and the tools you need to customize your ads however you want, perform A/B tests, measure results and adjust, start campaigns, stop them if they don’t work, compare different campaigns, gather more information on your target audience, and more. Of course, getting things right takes time but when you get there your Adwords campaigns will start paying off. Google Adwords is definitely a powerful channel to generate sales and is constantly improving. Combine it with other activities such as SEO, social media, and e-mail marketing to get the most of your business.